Increasing cloudiness early this morning. Wind west 30 km/h gusting to 60. High minus 3. Wind chill near minus 13. UV index 3 or moderate. Mainly cloudy. Clearing after midnight. Wind west 20 km/h gusting to 40. Low minus 11. Wind chill minus 10 in the evening and minus 19 overnight. Sunny. 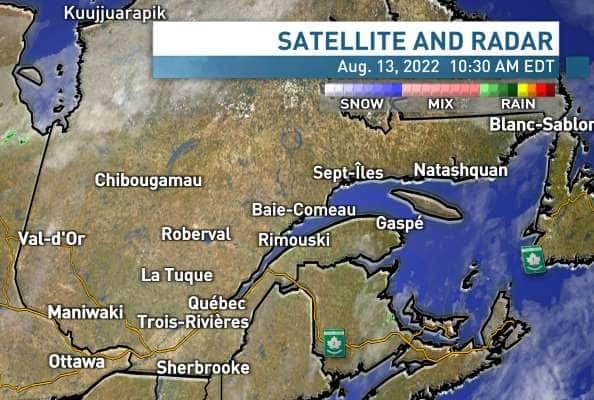 Wind west 20 km/h becoming light near noon. High minus 6. Wind chill minus 19 in the morning and minus 10 in the afternoon. UV index 4 or moderate.